There are some social debates raging on questions to which I don't know the answer -- in particular, debates in which charges of cultural appropriation are levied. This is not to say that there aren't some relatively clear-cut cases. A white American wearing a Native American war bonnet as a "fashion accessory" was once universally acceptable among white Americans, and now a growing number of us see that as a social and moral mistake. Cultural appropriation involves adoption of elements of a minority culture by members of the dominant culture. In contexts where it might not be clear which culture is dominant, or whether a given other culture is minority, cultural appropriation is difficult to assess. For the most part, however, 21st-century America has a more-or-less readily identifiable dominant culture, and, though there is fuzziness at the edges, the minority cultures in the US are also recognizable. Only members of the dominant culture can commit this appropriation, and only minority cultures can be appropriated from, and that's because the imbalance of power is the crucial dynamic at play in cultural appropriation. Understanding the imbalance of power requires awareness of the long history of colonialism. Inaugurated with Columbus's voyages, European colonialism grew to Africa, India, southeast Asia, and the Americas, and was characterized by conquest, genocide, subjugation and exploitation of people, and appropriation of resources. Colonialism depended on white people's belief in the superiority of white culture, for according to colonial ideology, they were doing a favor to the colonized peoples by "modernizing" them. Such modernizing usually turned out to be highly selective: usually amounting to little more than efforts to train indigenous people to be more serviceable to European profit. Colonizers cited "economic development," while in practice, typically, the only economy that was developed was the export economy: thus funneling resources and goods into wealthier countries and further impoverishing the colonized host. Given this history, its not surprising that minority cultures catch whiffs of usurpation, exploitation, and arrogance when white Americans continue -- consciously or not -- the habits and assumptions of colonial superiority. That said, here are three recent cases that, to my mind, aren't clear-cut. I think these are hard cases. 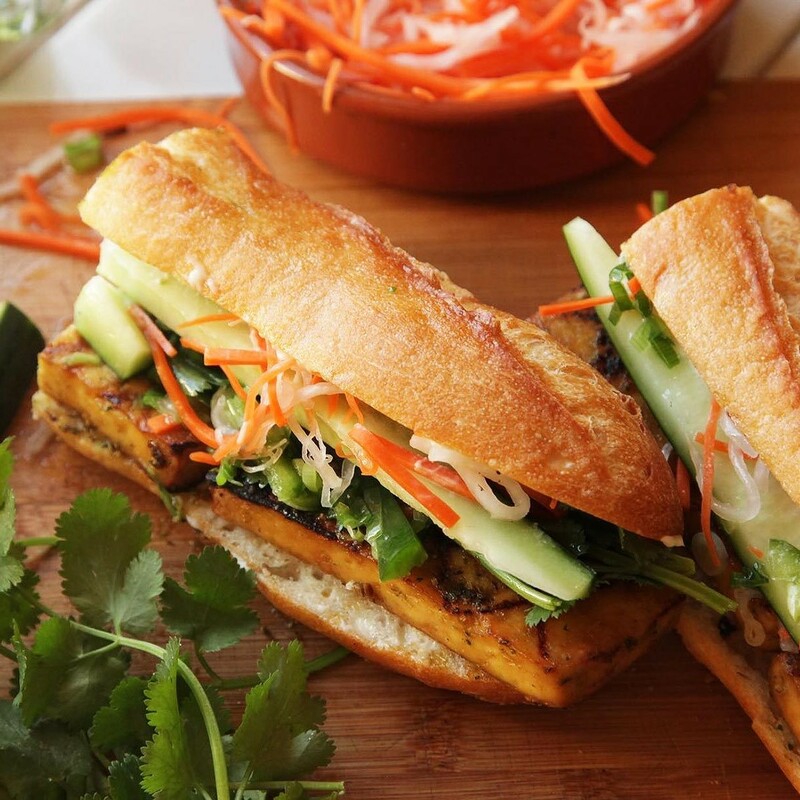 In 2015, Diep Nguyen, a Vietnamese freshman student at Oberlin, objected to the Banh Mi sandwich offered at the Dining Hall. The student newspaper, The Oberlin Review, reported: "Instead of a crispy baguette with grilled pork, pate, pickled vegetables and fresh herbs, the sandwich used ciabatta bread, pulled pork and coleslaw. 'It was ridiculous,' Nguyen said. 'How could they just throw out something completely different and label it as another country’s traditional food?' Nguyen added that Bon Appétit, the food service management company contracted by Oberlin College, has a history of blurring the line between culinary diversity and cultural appropriation by modifying the recipes without respect for certain Asian countries’ cuisines. This uninformed representation of cultural dishes has been noted by a multitude of students, many of who have expressed concern over the gross manipulation of traditional recipes." The item was pulled from the dining hall menu. Should it have been? In 2016, Dana Schutz, a white woman, painted "Open Casket," which hung at the Whitney Biennial exhibition in New York in 2017. It is a portrait of Emmett Till, a black 14-year-old boy who was lynched by two white men in Mississippi in 1955. African-American artist Parker Bright protested the painting, demanded that Schutz's painting be removed and destroyed. He wrote: "it is not acceptable for a white person to transmute Black suffering into profit and fun." Others joined in Parker Bright's objection, including another African-American artist, Hannah Black, who wrote, "The subject matter is not Schutz’s. White free speech and white creative freedom have been founded on the constraint of others, and are not natural rights. The painting must go." Schutz and museum curators defended the painting and its inclusion in the exhibit. Who was right? A couple months ago, on April 22, Keziah Daum, a white high school senior in Utah, wore a Chinese-styled dress -- a red cheongsam that she found at a vintage store in Salt Lake City -- to her school prom. She posted on social media pictures of herself in the dress alongside her friends. A number of people posted objections. 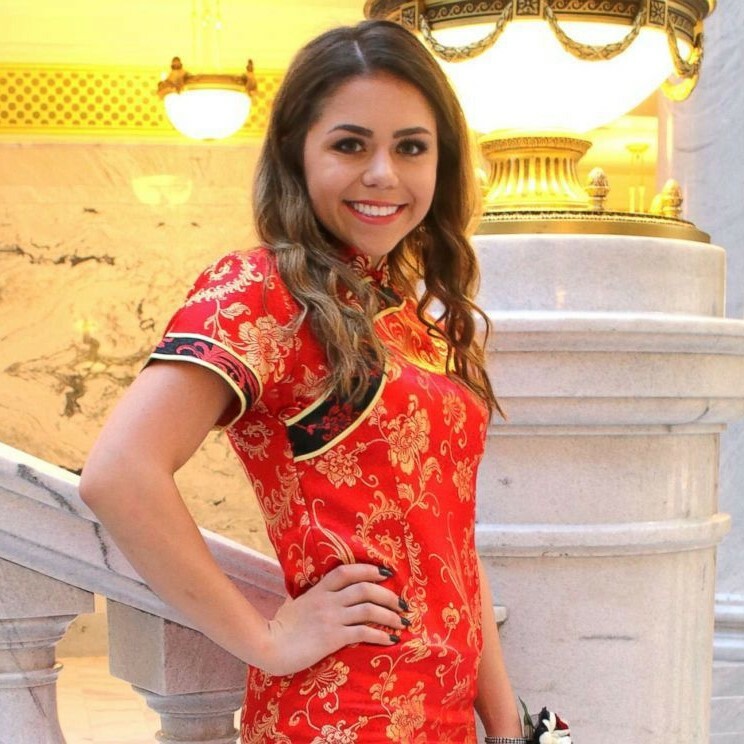 Jeremy Lam, for intsance, wrote, "My culture is NOT your prom dress." He went on to say, “I’m proud of my culture, including the extreme barriers marginalized people within that culture have had to overcome those obstacles. For it to simply be subject to American consumerism and cater to a white audience, is parallel to colonial ideology.” Lam's tweet was retweeted 42,000 times and spurred an onslaught of similar criticism of Daum's sartorial choice. Daum replied: "I don’t see the big deal of me wearing a gorgeous dress I found for my last prom. If anything, I’m showing my appreciation to other cultures and I didn’t intend to make anyone think that I’m trying to be racist. It’s just a dress." Who is right? My answer to all three questions posed by these cases is: "I don't know." In general, the "not knowing" stance has much to recommend it. Opinions tend to be pricey and high-maintenance, so it's wise to have no more than are necessary. Not knowing has been encouraged by diverse thinkers from British poet John Keats (who, in 1817, praised "negative capability" -- the capacity to be "in uncertainties, Mysteries, doubts, without any irritable reaching after fact and reason," able to be comfortable leaving matters ambiguous, indeterminate, or unknown) to Korean Zen master Seung Sahn (1927-2004, who frequently told his students, "only don't know," to encourage them to set aside their conceptions). But not knowing does not mean not engaging. In fact, in many ways it is just the opposite, for what we "know" may entice us to view a situation only through the lens of prior knowledge and thus miss details that make the case at hand unique. The not-knowing stance is one of openness and curiosity. It begins by resisting impulses to exclaim, "That's ridiculous!" and continues into training ourselves in how to articulate (even if only to ourselves) the most sympathetic possible version of other viewpoints. Before we get to the question, "Who is right?" (and if we never get to that question, perhaps that's OK) let us ask: Who is hurting? What is their pain? What skillful and compassionate response to that pain is possible? What's needed is listening and understanding. Some social issues need us to jump into the fray; others don't need any additional combatants, but do need attentive empathy and understanding. The hard cases where cultural appropriation is charged fall into the second category. These situations call for people who are attentive to the issues raised (neither withdrawing from the subject nor dismissing it) and empathetic to the hurt that's being manifested. How would you attend to the pain and bring empathy to each of the three cases? What more would you need to know? 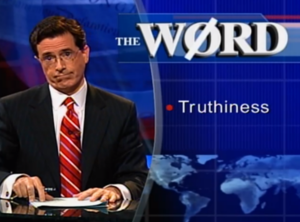 When conservative temperaments talk about the Truth – as if with a capital T – it just makes me shrug. I want to say, look, if we have different beliefs about something, and we're having a dispute, let’s look at the best evidence we can find. That’s all we have to guide us – all we ever could have. But even the best evidence is never perfect, and is always incomplete, so calling any conclusion “true” is just a sort of rhetorical flourish. The other way we use the word “true,” – less common than the commendatory use – is in a cautionary way. When we remind ourselves (as we probably don’t do often enough) that even though a certain belief is well-justified and fits all the evidence we have, it might not be true – then we are using “true” in this cautionary way. It’s a helpful caution to remember that no matter how strong the evidence seems today, it’s always possible that we, or our children, will grow to have incompatible beliefs instead. So “true” and “truth” are merely these rhetorical devices for blandly commending, or sometimes cautioning. Not really much there. Certainly nothing that warrants a capital T. If there’s a claim at stake, let’s examine the evidence. "Truth" is merely a grandiose abstraction that is no help at all in the real work of finding of interpreting evidence. Sentences – the ones we commend to each other, and about which we caution each other – are human creative products, just as art and music are. We produce beliefs to meet our own needs, and we will always be re-creating belief and knowledge as our purposes guide our inquiry and what we learn in turn leads us to redefine our purposes. 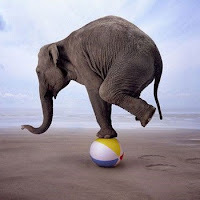 According to the elephant model of truth, our problem is that we all have only partial perspectives, only part of the truth, and we have a lot more to learn. On this model, more inquiry and learning will lead our beliefs to gradually converge closer and closer to reality. Certainly, more inquiry is a good thing, but the problem goes much deeper than the elephant model supposes. There is no elephant. The truth -- to contradict the tagline of "The X-Files" TV show -- is not out there, waiting for us to get our hands around it. Someone might say that for billions of years up until 1822 Beethoven's 9th symphony was "out there" waiting for Beethoven to discover it, but this would be an odd theory. Most of us would rather say that Beethoven invented or created his 9th symphony rather than discovering it. In the same way, the sentences that we commend as true are invented/created, not discovered (or rather not simply discovered). In fact, inquiry produces at least as much divergence as convergence. Think of inquiry like evolution. It’s our beliefs evolving. We don’t think of there being a gap between a species’ genes and its environment and of that gap as gradually narrowing as the species evolves. Rather, we say that genes are either successful at perpetuating themselves or they are not. Likewise, we may say that beliefs either succeed at perpetuating themselves or do not. And if a belief does persist, that doesn’t mean that it’s “close” to reality any more than a genetic tendency that persists through generations is “close to” its environment. Both beliefs and genes survive by virtue of helping us cope, not by mirroring objective reality. While many beliefs fail this test and die away, the number of possible beliefs that could survive and reproduce is as infinite as the number of possible species that could. For instance: what, after all, is an elephant exactly? In India elephants have long been construction equipment – good for knocking over trees and carrying large loads. For some Hindus, elephants are gods, or represent the god Ganesh. For biologists, an elephant is a species occupying such-and-such a spot in a taxonomic system. We know the elephant as the symbol of the Republican Party, and also as a symbol of good memory. For poachers in Africa, an elephant is a source of ivory, and thus income. For others, an elephant is a living creature with a rich emotional life of its own and is therefore worthy of our concern and protection against poachers. As we learn more and more of these perspectives on elephants, the picture doesn't look like a convergence, a gradual closing of the gap, between our beliefs and the reality of elephants. The picture looks more like an expanding diversity of possible points of view we become able to take. Moreover, we are always inventing new meanings. 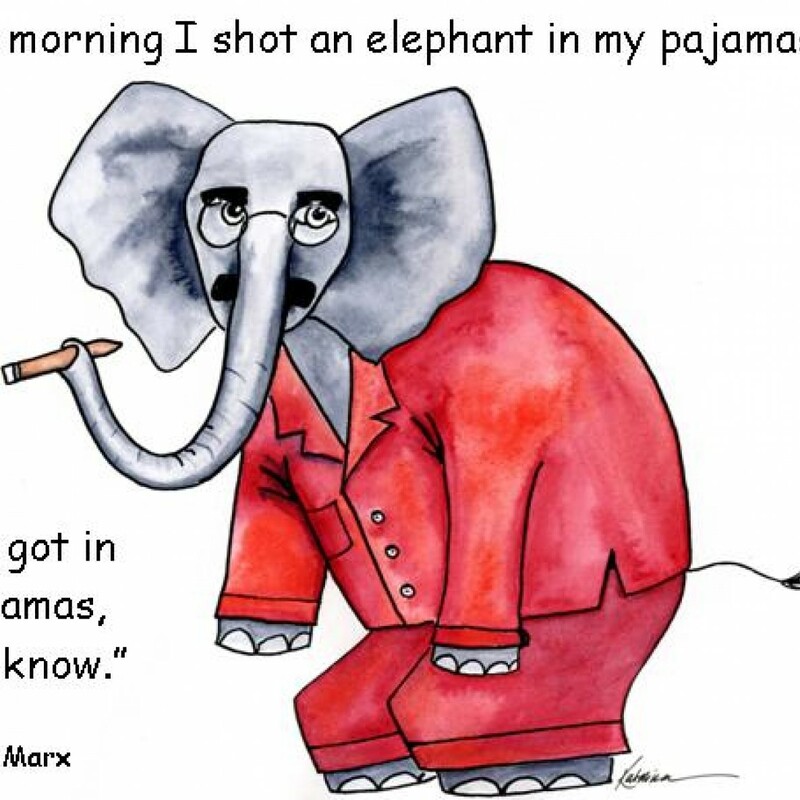 Groucho Marx gave elephants a comic meaning when he said: "One morning I shot an elephant in my pajamas. 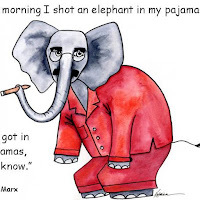 How he got into my pajamas, I’ll never know.” Ask 100 poets to write a poem each about what an elephant is, and you’ll get 100 very different descriptions. Some of them will be startling insights, and we will learn from those poems new truths about what elephants are. Inquiry does not converge slowly toward the one truth. Rather, inquiry accumulates more and more divergent perspectives. Learning expands rather than narrows the repertoire of responses available to us. As John Keats said: Truth is beauty. And just as the beauty of art and music do not converge toward the one true painting or the one true sonata – just as species evolution does not converge toward the one true species -- human learning does not converge toward the one truth. That’s what I thought was important to say about truth 20 years ago. I wanted, as I’ve wanted throughout my adult life, to celebrate the human capacity for diversity, for creativity, for spinning out new and different perspectives. That’s still important -- in some ways, more important now than ever. What I took for granted 20 years ago was that learning and creating diverse viewpoints would be done in a conscientious way – with a certain integrity – that the motivation was to make beauty in a context that honored the different arts, different perspectives. I wanted to go beyond the elephant story to say, “let’s not be limited by the idea that there’s just one true elephant out there.” Acknowledging the worthwhile moral of the elephant parable, I wanted to go the next step. Instead, we’ve seen public discourse go the opposite direction. A little humble recognition that one could be wrong, that one’s view is partial, that other people’s views, while also partial, have as much connection to reality as one’s own – would now come as a great breath of fresh air. This is part 2 of 3 of "Truth?" In another church in another place, a visiting minister began a children’s story. He invited the children down front, and asked them, “What’s big and gray?” But in this Christian and more conservative church, the children were not used to speaking up. The minister tried again: what’s big and gray and has big floppy ears? No answer. And tusks? And a long, long nose called a trunk? Finally, a boy in the back shyly ventured to raise a hand. “Yes, yes,” said the minister. An elephant, in the well-known parable that originated in ancient India, represents the truth. A group of people who have never seen, read about, or heard of such a thing as an elephant are gathered. They are blindfolded and then brought to an elephant. They are led up to the elephant and have the chance to run their hands over a portion of its body. Each person feels a different part of the elephant body, and they then describe the elephant based on their partial experience. When they hear each other’s different descriptions, they are incredulous, suspect dishonesty, and fall to fighting. 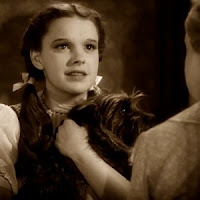 The moral is that we each have a part of the truth, and we must be wary of the human proclivity for projecting our partial experiences as the whole truth, and ignoring other people's partial experiences, which have as much connection to reality as our own. It’s a wonderful story, a story that every child should hear, and that a lot of adults still need to hear. The story teaches that my perspective is largely determined by that to which I happened to have been exposed. If I think an elephant is like a tree trunk, it’s because I encountered the leg. If I think of God the way I do, it's because I was raised that way -- and if I’ve deviated from the beliefs with which I was raised, I have done so because some other influence happened to come along. My beliefs seem to me to make so much sense – to be so eminently reasonable. How could other people be so foolish and pigheaded as not to agree with me? How could they not understand? They must be deluded by the devil, or they have deliberately chosen to become agents of evil. Or perhaps they have some congenital defect which obscures from them the truths that are so obvious to us right-thinking folk. Or maybe they have been biased by the way they were raised. A lot of us are prepared to attribute other people’s disagreeable beliefs to culture or psychology, while we regard our own beliefs as having nothing to do with culture or psychology but only with seeing plainly what is there. The elephant story, though, tells us we all have the beliefs we have because we've had the experiences we've had. That’s a moral that helps us be more tolerant – and that helps us be more open to new learning. A related moral of the elephant story – rather more implicit -- is this: More inquiry is a good thing. Hearing the story, we’re likely to find ourselves wishing each person could have the chance to feel more different parts of the Elephant. Get back in there and learn some more. When I was a boy, I was sure the answer wasn’t supposed to be Jesus. But I did want to know about that elephant out there, truth. Truth! 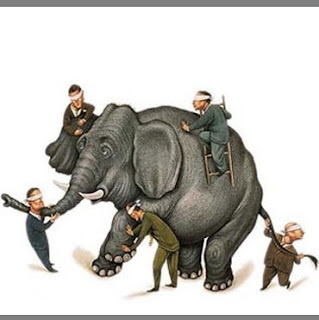 Rather than being the elephant in the room that everybody can see but nobody will talk about, truth is the elephant in the room that nobody can see, but everybody constantly talks about. We ask witnesses, “Do you swear to tell the truth, the whole truth, and nothing but the truth?” Is it even possible to tell the whole truth? We speak of true diamonds, true friends. Someone particularly suited to her field – say, medicine, is said to be a true doctor. We speak of the arrow flying straight and true to its target. If the billiard table cloth is true, then it is flat and level. When I take my bicycle in for a tune up, they “true” the wheels – make them straight. 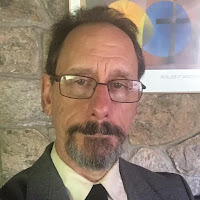 Keats and Tennyson and Plato spoke of truth that stirred our souls to strive and soar, yet this guy was using “the truth” – his notion of it -- as a tool for exclusion, for meanness, for justifying injustice. In response, I find I’m feeling more need to protect the truth – and this is a bit of a switch. This is part 1 of 3 of "Truth?" Stage six: Tests, Allies, Enemies. Challenges and resources arise in the unfamiliar world and begin to transform the Hero. Harry adjusts to life at Hogwarts. Han Solo and Chewbacca agree to take Luke and Obi-Wan to Alderaan. Morpheus trains Neo to fulfill his role as “The One” who will free humanity. 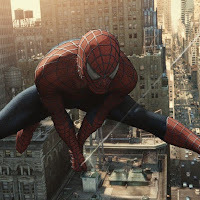 Peter becomes Spider-Man, and takes photos for the Daily Bugle. Nala finds Simbha and the two fall in love. The Fellowship faces the Balrog, who takes down Gandalf. Katniss must deal with Peeta confessing his secret love for her, and, in the arena, she allies with Rue. Stage seven: The ordeal reaches its most dangerous physical test or deep inner crisis. The Hero uses and solidifies the learning, resources, and self-transformation gained so far to face this ordeal. 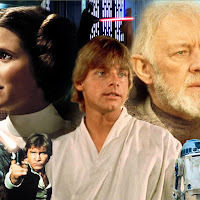 Luke and company invade the Death Star to rescue Leia, and, in the process, Darth Vader kills Obi-Wan Kenobi. 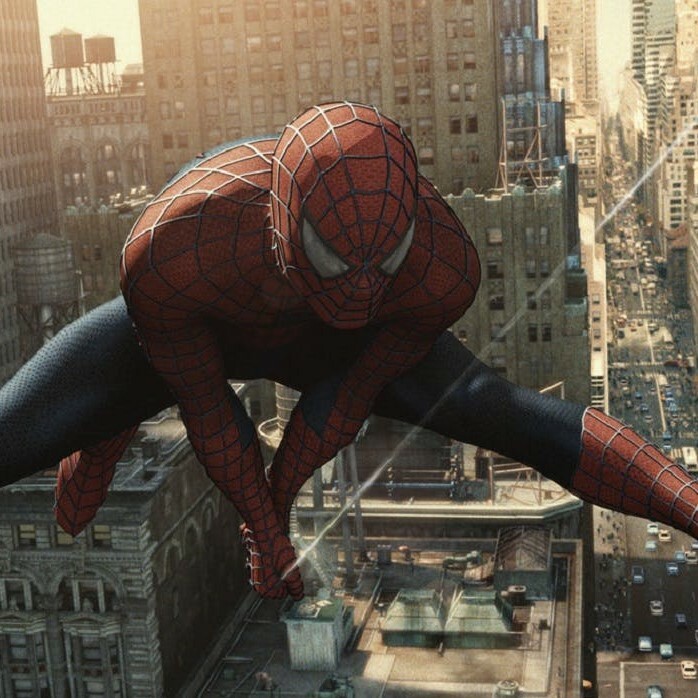 Peter, having refused to join Norman Osborne, the Green Goblin, must rescue Mary Jane, whom The Green Goblin then kidnapped. 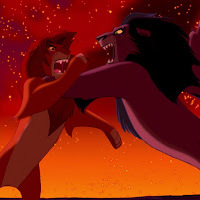 Nala asks Simbha to return to the Pride Lands and take the throne from Scar, and Simbha returns to take on Scar. As the Fellowship of the Ring dissolves, Frodo and Sam alone head into Mordor. 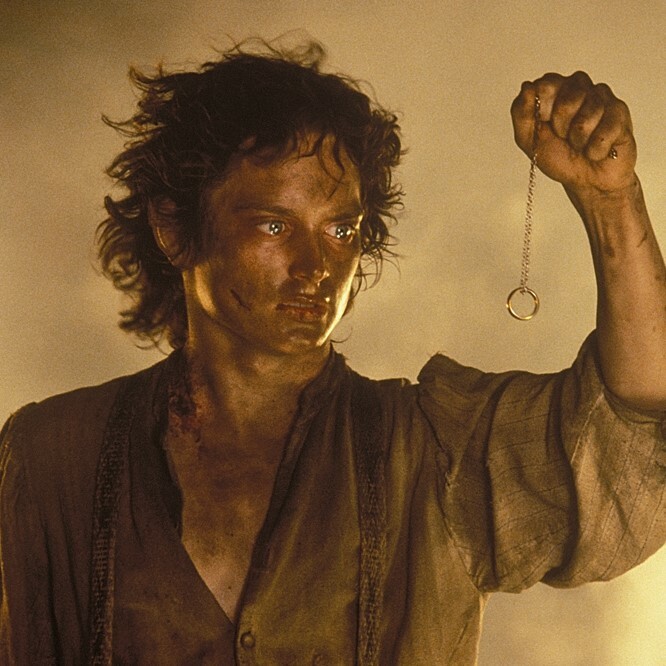 On the very brink of the pit of lava, Frodo’s ordeal at last defeats him, but fate in the form of Gollum rescues Frodo from himself by biting off Frodo’s finger, and falling, with the ring into the lava. 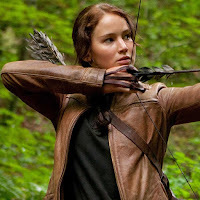 Katniss is alerted to a rules change allowing tributes from the same district to win as a team. She nurses Peeta back to health, only to then have the new rule revoked – putting Katniss and Peeta under command to try to kill each other. Stage eight: Resurrection and the Road Back. The Hero’s new condition emerges, her former self having “died” in the Ordeal. The new self faces additional challenges that test and further refine the transformation. 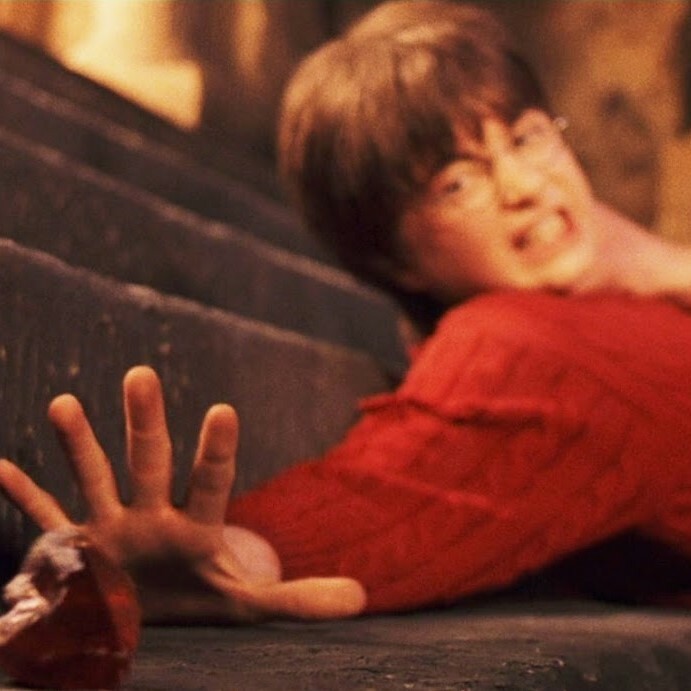 Harry, transformed by getting into the room where the Philosopher’s Stone is hidden, his new self then faces Professor Quirrel, who has been hosting Voldemort in his body. Luke joins the rebels, refuses Han Solo’s offer to leave. His new self then uses the force to destroy the Death Star. Agent Smith kills Neo. Trinity whispers to Neo that the Oracle told her that she would fall in love with the One, and that Neo cannot be dead because she loves him. She kisses Neo, and he revives. Neo’s new self then defeats Smith. Peter Parker’s new self responds to Mary Jane’s confession of love by choosing to reject her to keep her from danger. 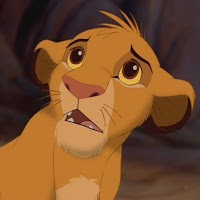 Simbha’s new self learns that Scar killed his father. Simbha throws scar off Pride Rock. 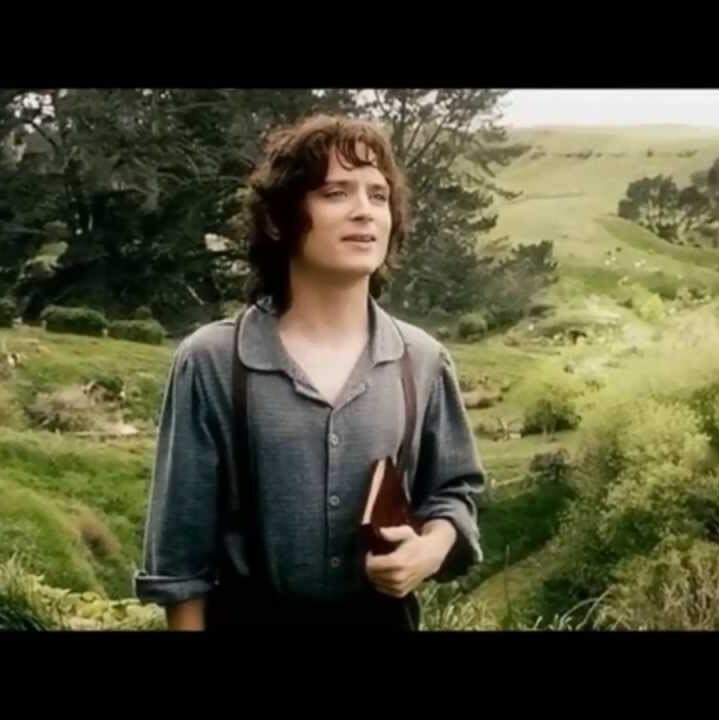 Frodo and Sam reunite with the Fellowship, and face challenges on the road home. Katniss’ new self decides on double suicide by eating poison berries. The authorities concede just in time to save her and Peeta. The good of wandering, when it is a good, is to encounter something new, unpredictable, something we-know-not-what. In this way, the aimlessness of wandering is crucial. If you have a purpose – if you really understood your purpose – then it isn’t wandering, isn’t truly encountering something new, but is only further carrying out the purposes that already define you. By encountering the new, the not-already-understood, you become new, transformed. The function of grand epics like Harry’s or Luke’s or Frodo’s or Katniss’, is to attune us to possibilities for enacting small-scale versions of that story arc in our own lives. Every time we depart from routine, try something new, a potential hero’s journey stretches before us. Every vacation can be a mini hero’s journey: as we face challenges – and open ourselves to what they might teach us. This word, "wandering," is a reminder that you don’t always have to have a purpose. At the same time, there are options less extreme than abandoning everything for good to hit the road in a Pinto. Instead you can do what most people do: leave home for a little while, taking your keys with us and knowing you’ll be back. You can drift and wrestle for a while, not knowing where or why – seeking, or awaiting the emergence of, a new purpose -- and the new you who can pursue it. This is part 3 of 3 of "Wandering"
Wandering can be fun: pleasant or adventurous. Wandering can also be awful. In the Exodus story, wandering is more on the awful side. The Israelites choose this extended time of wandering, (a) because the oppression in Egypt was so severe, and (b) because they believed they’d been promised “a land flowing with milk and honey” at the end of the wandering. Even at that, there were some among them who yearned for "the fleshpots of Egypt." For the people of Israel the ordeal of wandering was a phase to be endured – a period of aimless drifting during which the soul is preparing itself for the new home it will eventually make for itself. The Israelites weren’t ready to go straight into Canaan from Egypt. They had to learn about who they were. They had to discover the rules, the commandments to which their lives would be dedicated now that they were no longer dedicated to the Pharaoh’s commands. They had to arrive at a shared understanding of a way of being together that would serve them in their new home. They had to test their capacity to stick together and cooperate to survive in hardship – and thus be bound together to make the eventual new land work. Once home and homeland are established, settled into, then that rhythm of security and risk-taking, home and away, can begin to emerge. Joseph Campbell’s work on the structure of myth uncovers the archetype of the hero’s journey. There’s a very common pattern in many of our stories of a hero’s journey, a home-leaving, wandering, and returning. What these stories tell us is that the rhythm works to change us. In the rhythm of home and road, the true function of time on the road is to transform us to return different from how we left. The hero’s journey begins in the “Ordinary World” stage: a safe and familiar place; the point of departure. There’s Harry Potter living in his cupboard under the stairs. Luke Skywalker on a moisture farm on Tattoine. Thomas Anderson living his double life as a regular citizen and as Neo, a hacker. Peter Parker, the nerdy student bullied by classmates. The young lion, Simbha, heir to the throne of the Pride Lands. Frodo Baggins living comfortably in the Shire. Katniss Everdeen living somewhat less comfortably but still getting by in District 12. Then comes the “Call to Adventure”: an event, or realization, that threatens the safety or disrupts the comfort of the Ordinary World. Peter Parker gets bitten by a radioactive spider and suddenly has new powers. Simbha’s father, Mufasa, mysteriously dies and Simbha is told to leave the Pride Lands. Gandalf shows up to tell Frodo to destroy the One Ring. 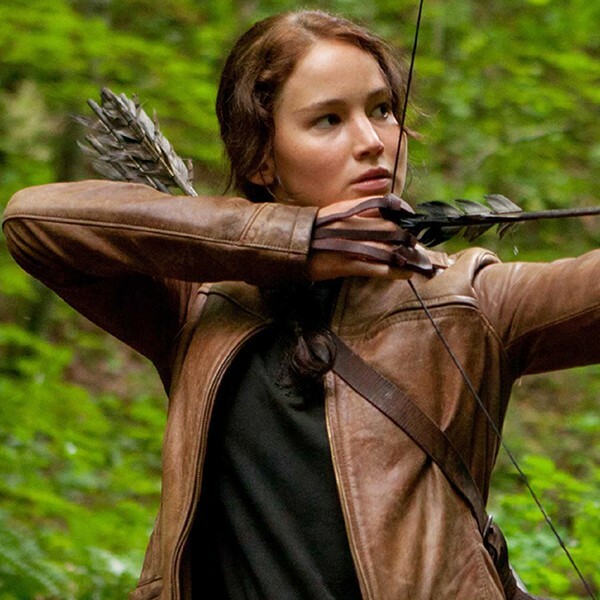 Katniss’ younger sister, Primrose, receives notice she’s being drafted for the Hunger Games. Stage three: the Refusal of the Call. This is a period when the hero clarifies the fears and self-doubts of answering the Call. 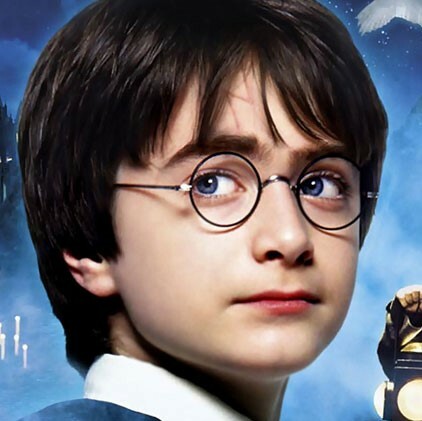 Harry doesn’t believe he could be a wizard. Luke is reluctant to accept Obi-Wan’s offer. Neo talks to Trinity, but isn’t sure if it’s a dream. Peter Parker tries out his new powers, using them to win underground wrestling matches for cash. Simbha, scared and alone, retreats into the desert. Though he’s in the wilderness, he has yet to take up his true journey. 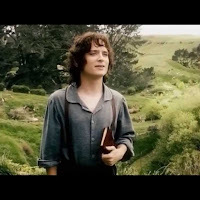 Frodo is reluctant to leave the life he knows. Katniss wrestles with the horror of losing her sister. Stage four: Meeting the Mentor. An encounter with a person – or book or object – provides guidance and tools that resolve the Refusal of the Call. For Harry it’s Hagrid, who takes Harry to Diagon Alley, where Harry purchases his school equipment. For Luke it’s Obi-Wan, who gives Luke his father’s light saber and offers to train him as a Jedi. 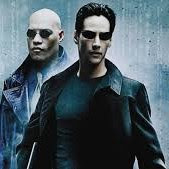 For Neo it’s Morpheus, who tells him to choose the red pill or the blue pill. For the royal Simbha, his mentors are exemplars of the common folk, Timon and Pumbaa, who introduce Simbha to life in the jungle. For Frodo its Gandalf, who advises Frodo and introduces him to the Fellowship of the Ring. For Katniss, along with Peeta, the former Hunger Games victor, Haymitch Abernathy, is a mentor. Stage five: Crossing the Threshold. Our hero, willingly or unwillingly, enters into the unfamiliar world. Retreat from the challenges of that world is no longer possible. Harry Potter steps over that threshold when he learns that his parents were killed by Voldemort. 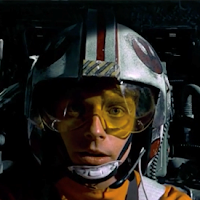 Luke Skywalker goes with Obi-Wan, to travel to Alderaan to deliver the Death Star plans to Leia’s father. 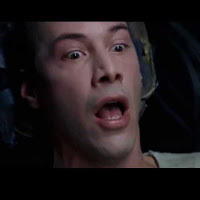 Neo chooses the red pill, swallows it, and wakes up from the Matrix. 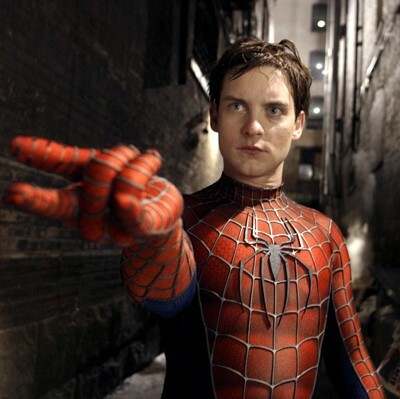 Peter Parker stops Uncle Ben’s killer and the realization dawns on him that, indeed, he must use his powers to stop crime. Simbha’s journey of learning begins with the embrace of “hakuna matata” and life with Timon and Pumbaa. The Council of Elrond dispatches the Fellowship of the Ring on their journey to Mount Doom. 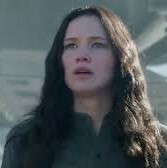 Katniss crosses one key threshold when she volunteers in her Sister’s place, and the step is further sealed when she and Peeta depart for the Capitol. This is part 2 of 3 of "Wandering"